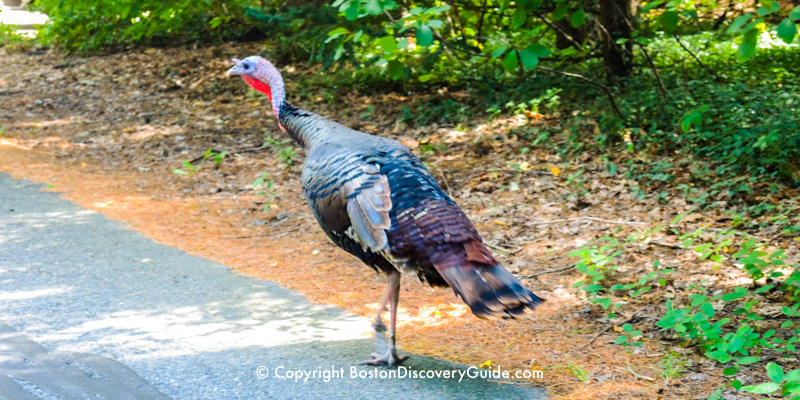 Looking for fun things to do in Boston in November? Winter fun begins this month as the weather grows colder, the days become shorter, and holiday lights begin to sparkle all over the city. Weather this month can be changeable - so pack a warm jacket, a couple of sweaters to layer, and a warm scarf and gloves. An umbrellas is also a good idea. 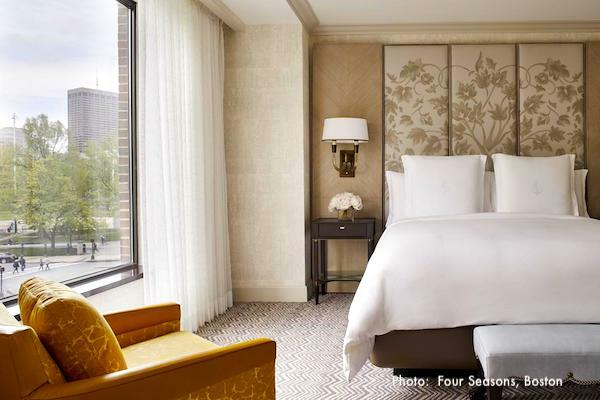 With fall foliage, ice skating, Thanksgiving, Veterans Day, and holiday shopping, you can take advantage of crisp fall days and cozy evenings, and perhaps even experience the first real snowfall before the month is over. 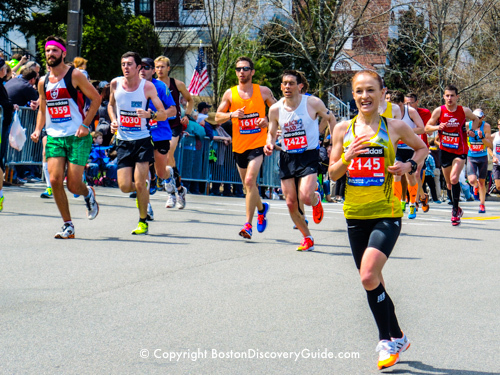 Need more suggestions about what to do in Boston in November? Check the November Events Calendar. Outside of the city, fall foliage is way beyond peak. 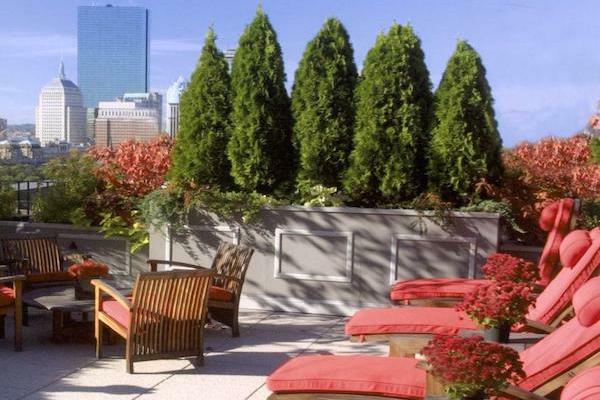 But fortunately for foliage lovers, Boston's slightly warmer microclimate means that you'll usually still find plenty of color within the city during the couple of weeks during November - sometimes even longer. 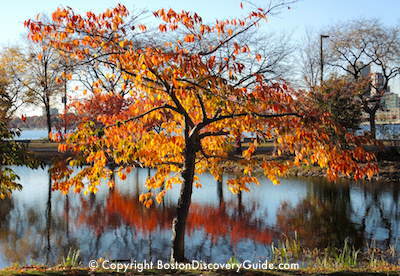 The Esplanade (shown above) - The contrast of golden and crimson leaves with blue water and sky can't be beat! Boston Public Garden - Bring your camera and take spectacular photos of colorful leaves reflecting in the Lagoon; if your children are with you, bring a frisbee. Back Bay Fens between the Back Bay and Fenway neighborhoods - You'll still find autumn blooms in the Rose Garden and the Victory Gardens, and this is also a top spot for Boston fall foliage. 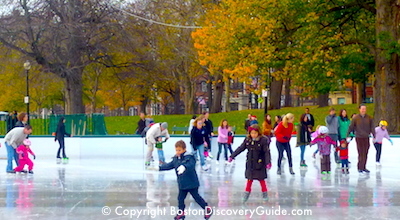 One of the coolest - literally - things to do in Boston in November is to go ice skating as the city's rinks reopen for the season while golden foliage lingers overhead. Boston Common's Frog Pond usually opens for skating mid-month (although please note - if the weather is too warm, the rink's opening will take place later in the month) and other rinks soon follow. Get tickets for a Boston Bruins game at TD Garden and watch the real pros spin around the ice for an exciting evening. 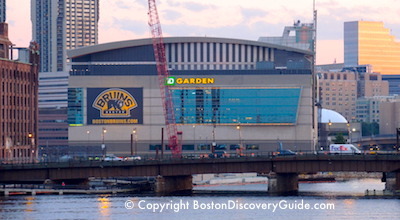 The Bruins usually have a couple of home games each week - and on nights when they're not playing in the Garden, the Boston Celtics probably will be. 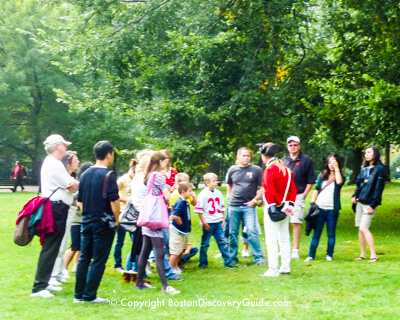 Crisp fall days of November are an ideal time to explore the red brick Freedom Trail, Boston's walk through history. Pick a spot along the way to linger for a meal, such as historic Union Oyster House or the tempting Food Hall at Quincy Market / Faneuil Hall Marketplace. 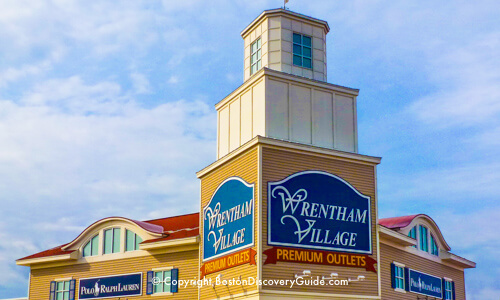 Or, buy something delicious at the Boston Public Market next to Haymarket, and take it over to the Greenway, where the plentiful tables make impromptu picnics a snap. 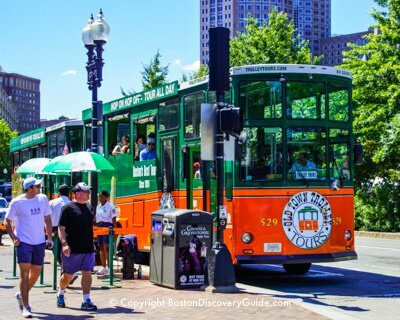 Boston weather during November can sometimes be tricky - so in case of frigid temperatures, freezing rain, or unpleasantly strong wind, you always need a Plan B.
Fortunately, Boston is filled with world-famous museums - so don't let bad weather ruin your plans for fun. 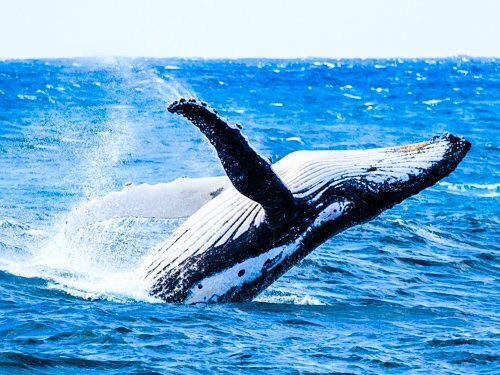 Watch the seals frolic at the New England Aquarium, check out the fabulous Art of the Americas wing at the Museum of Fine Arts, or take in the current exhibits at Boston Institute of Contemporary Art and then sample some of the great dining along the South Boston Waterfront. 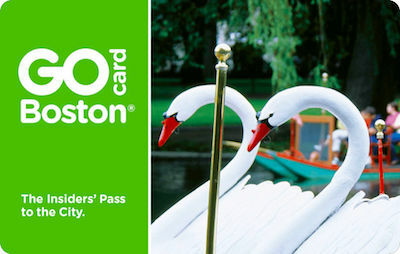 You can get free museum admission when you have a Boston discount card - a sweet deal! 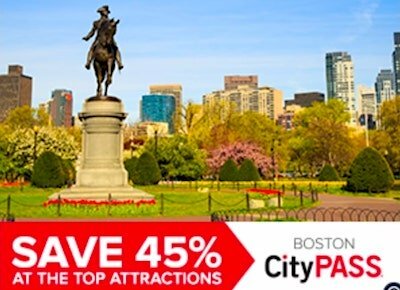 In addition to museums, these Boston discount passes also give you admission to lots of other Boston attractions, tours, cruises, and day trips - compare the savings! Celebrate this favorite American holiday the smart way - let someone else do the cooking! Boston restaurants put on gala feasts of traditional classics and contemporary favorites. 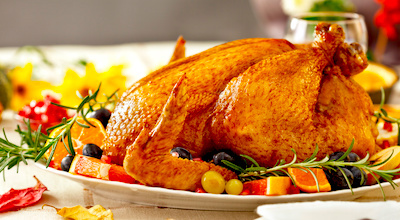 Check out Thanksgiving Dinner options - and then make your reservations for a special holiday meal. 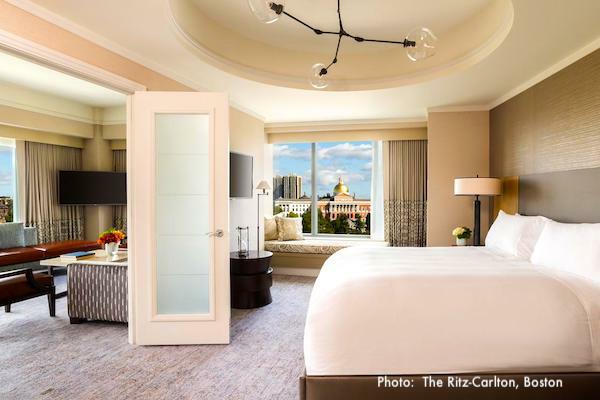 If you enjoy shopping, one of the best things to do in Boston in November is to get a head start on finding just the right items for your holiday gift list. 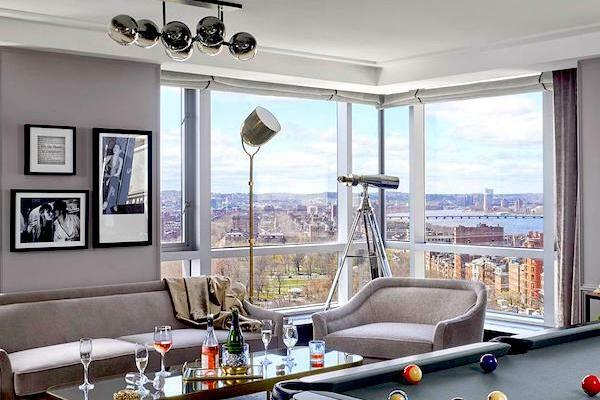 Head to one of the convenient in-town Boston shopping malls, or check out our favorite spots for accomplishing 1-stop holiday shopping in Boston. After Thanksgiving, stop by Boston's Downtown Holiday Arts Market in Downtown Crossing to shop for artisan products, holiday goodies, and more! Boston theater productions and comedy clubs are in full swing by November. A popular Boston activity is having dinner in a Theatre District restaurant and then going to a show. Enjoying a show at the theater or in a comedy club is the perfect way to spend a chilly Boston November evening! Students are back in class, and with over 60 universities and colleges in Boston and nearby areas, campus tours are in full swing. One interesting choice is Harvard, which offers free student-led historical walking tours of the Cambridge campus. You'll see key campus buildings, hear stories about Colonial history and architecture, and get a glimpse of student life behind the ivy-covered walls. Call 617-495-1573 for the tour schedule. 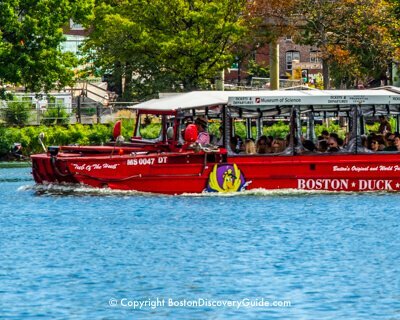 Take the Red Line of the Boston subway to Harvard Square in Cambridge, and join your tour. Afterwards, enjoy lunch in a Harvard Square restaurant. November's cool days and chilly nights are a not-so-subtle reminder of the colder months ahead. 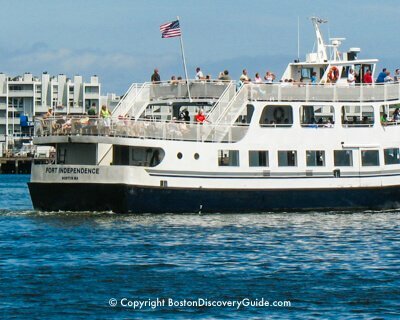 One of the most cheering things to do in Boston in November is to book a cruise from Boston to warmer climes. Imagine island-hopping in the sunny Caribbean . . . floating down the Yangtze river amid spectacular scenery . . . lying on the famed pink sand beaches in Bermuda. Pre-planning in November leads to a very pleasant experience later in the winter!